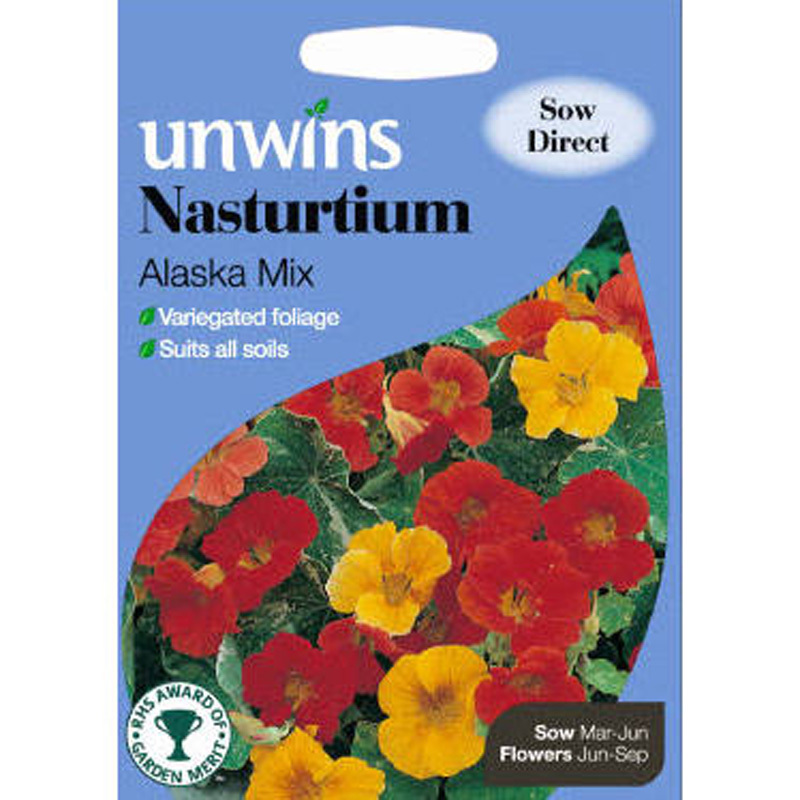 Pack of approx 35 Nasturtium (Maharajah Mix) seeds, suitable for sowing indoors or outdoors. Semi double blooms - quick to flower. 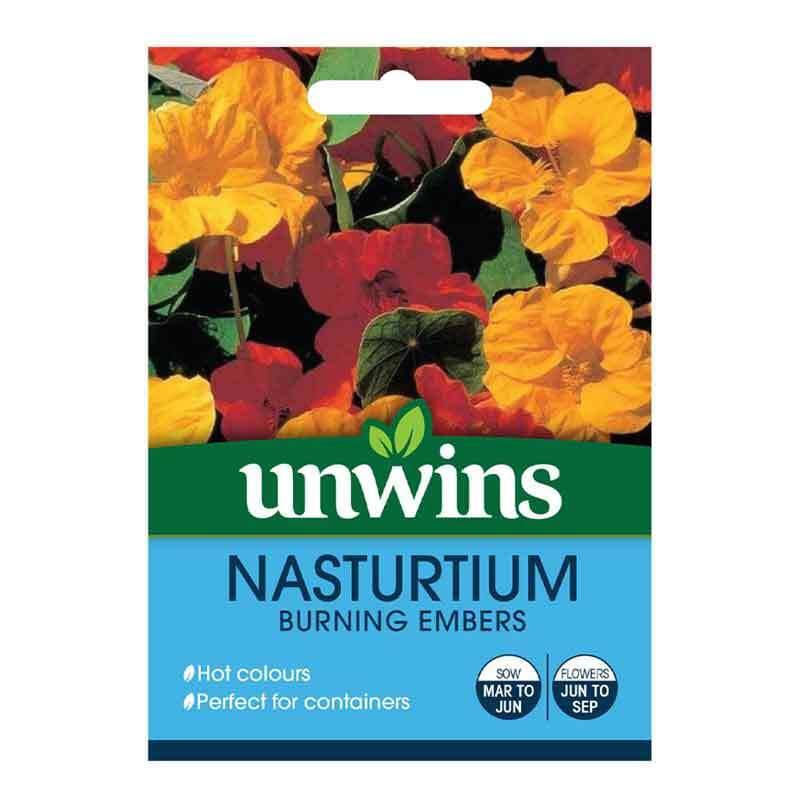 Tropaeolum majus (hardy annual) - create some hot-spots in your garden with our fiery mix of colours. 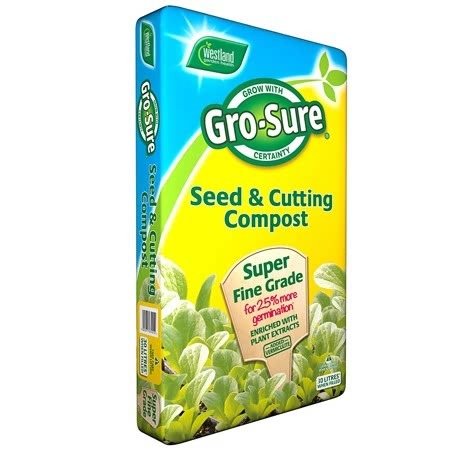 Useful for informal bedding schemes and patio containers alike. 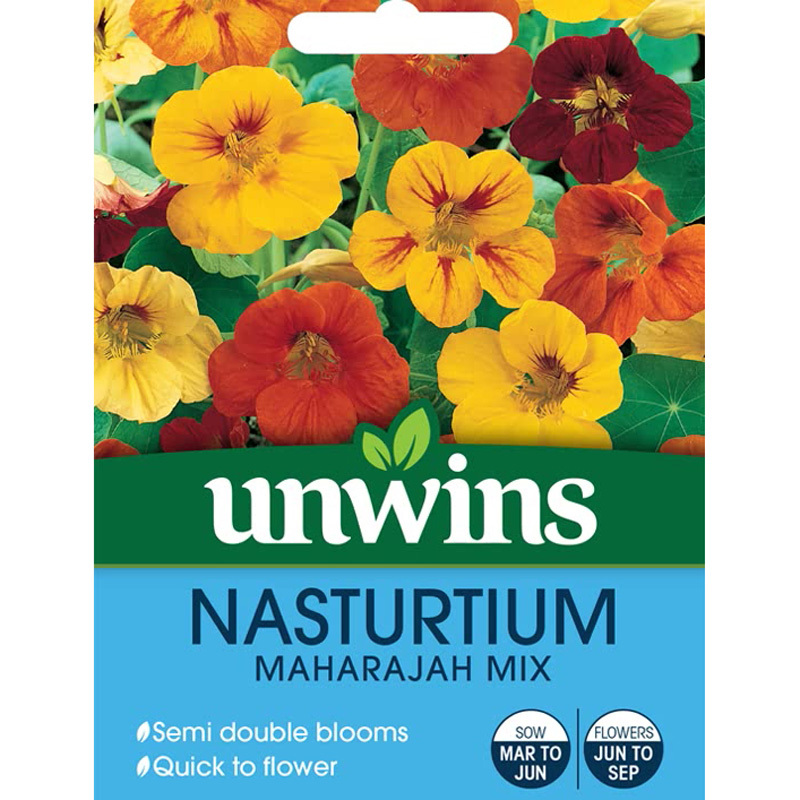 If you would like further information about Unwins 'Maharaja Mix' Nasturtium Seeds, please contact our garden centre at Shawbury just outside Shrewsbury in Shropshire, by calling 01939 251315 or emailing.